Sometimes an elder's need for help is sudden and obvious. More often, though, it becomes apparent gradually, experts say. So how will you know? Watch for changes in your loved one's behavior, such as ignoring favorite hobbies, missing dates with friends, or forgetting to pay bills. Not every change means danger, but when a shift happens, it's important to understand why, says Claudia Fine, an executive at SeniorBridge, a geriatric-care management company. So snoop, Fine advises. Tag along to your loved one's doctors' appointments and ask questions. Once you understand the person's situation, you can help develop plans, says Peter Notarstefano, director of home- and community-based services at LeadingAge, an association for aging-services organizations. 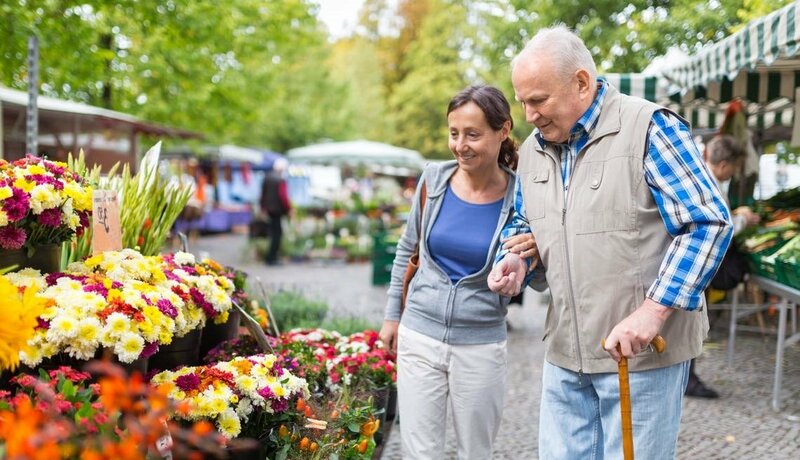 Although you may not see yourself as a "caregiver," that's the term for anyone who looks after a person who needs assistance with daily tasks. AARP's Caregiving Resource Center can help. Keeping a loved one in his or her house, or yours, can be challenging if your loved one needs daily help with some tasks. Thankfully, there are services to make it easier. Adult day facilities offer meals, activities, companionship and some medical care. One popular program for frail people is the Program of All-Inclusive Care for the Elderly (PACE). It's free for those who qualify for Medicaid; others pay about $3,000 a month. Service programs such as Senior Corps send volunteers age 55 or older to visit elderly individuals at home and provide companionship. Occupational therapists can evaluate a home and its resident and recommend grab bars and other changes to improve safety. They also help clients develop strength and skills, such as balance, so they can manage more of their daily activities. Studies show that visits from an OT help older people stay in their homes longer. If you and your family member want to live near each other but not in the same house, you can now rent a fully equipped, backyard mini-apartment that attaches to your home's utilities. Some of these so-called assisted living structures come with monitoring systems. Assistive-technology companies have products that can ensure your relative is safe. 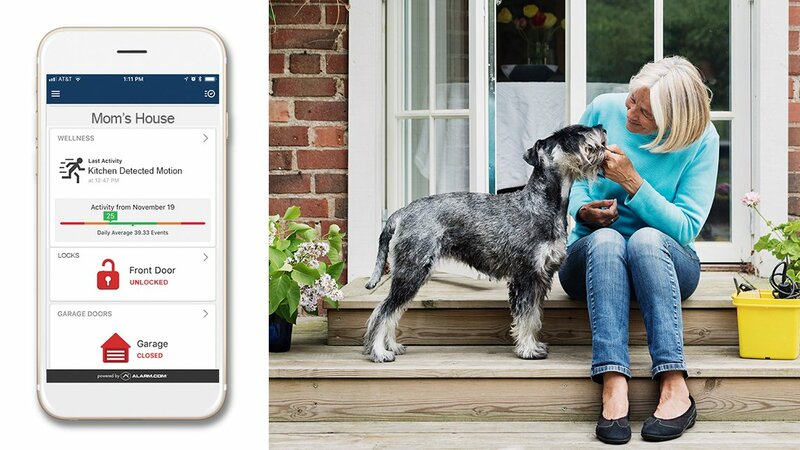 SimplyHome offers monitoring equipment such as motion sensors and GPS watches, and QuietCare (careinnovations.com) has a motion-sensor system that can learn a person's daily patterns and send alerts when there is a significant change. In some areas nonprofit support networks called Villages help older residents stay in their homes. Volunteers perform some everyday tasks, and the Villages also arrange for discounted services, from plumbing to nursing care. Annual membership fees are usually $300 to $500. See whether there's a Village near you. 1. Your local Area Agency on Aging (AAA) has info on living options near you. Find your AAA. 2. 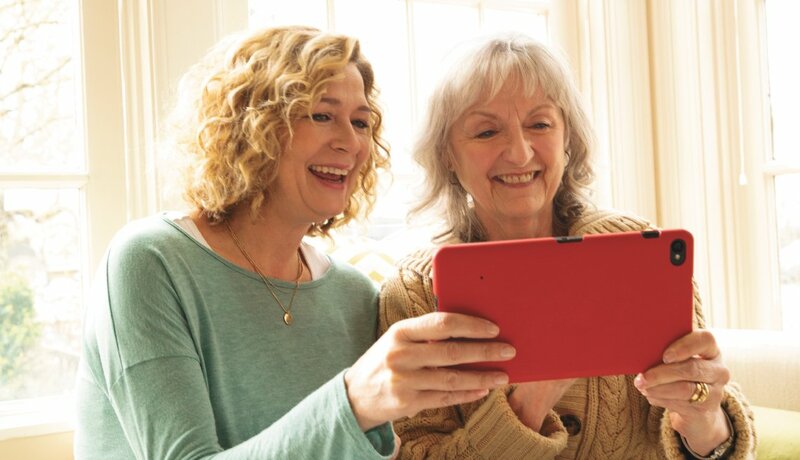 Genworth has teamed with AARP to offer a free online caregiver search as well as affordable access to care coordination services. 3. SNAPforseniors, a for-profit health care network, lists residential facilities. 4. The National Association for Home Care & Hospice lists home-care agencies in your area. 5. Medicare's website ranks local nursing homes and home-health agencies. 6. LeadingAge, a network of aging-services agencies, has a housing-locator service on its website. Ease into it: If possible, provide help bit by bit, "in spoonfuls and not buckets," recommends Susan Johnson, former owner of Care Management Associates. For example, start by offering to hire someone for a task your relative doesn't like, such as cleaning house. Set a time line: Try presenting care, in whatever form, as something to try out for a little while. Make your relative the boss: Describe care providers as "assistants" to show that your loved one is still in charge. Tweak your language: Frame help in the way that will most appeal to your relative. Maybe it's a deserved luxury; maybe it's something recommended by a trusted doctor or friend. Don't command: Include your loved one in any decisions, and avoid telling her what she "needs to do"; this usually triggers resistance, warns Linda Fodrini-Johnson, executive director of Eldercare Services. Seek answers: If your relative is reluctant to accept care, try to figure out why, says Jackie Lapidus, executive director of Care Management Associates. Your relative may be assuming one scenario while you're imagining another. Turn the tables: Remind your loved one that by accepting help, he is easing your fears and making your life less stressful. People fare better when they live near what's dear to them — friends, family, congregation. But once you find a facility in the right spot, make sure it's a good one. To begin evaluating a residential facility, schedule a tour. Quiz the manager on how the facility addresses a resident's specific and changing needs. Then make unscheduled visits. Ask residents what they enjoy about the community and what goes on during the day. Will your relative fit in? Most states license residential facilities. To discover your state's licensing requirements, start with the department of health. If it's home health care you're seeking, look for an agency that hires its own employees, rather than using independent contractors, says Paul Hogan, chairman of Home Instead Senior Care and coauthor of Stages of Senior Care: Your Step-by-Step Guide to Making the Best Decisions. Make sure a supervisor occasionally visits your relative's home to see how everything is going, says Hogan. And don't expect a perfect match the first time. If you have concerns, tell the care provider and possibly the management, too. When hiring in-home care, patience and perseverance pay. Also consider these two websites, both of which rank nursing homes based on Medicare inspection data: Caregiverlist Inc. and the Medicare and Medicaid Nursing Home Compare guide. The going rates for assisted living vary from state to state. For information on the rates in your state, visit longtermcare.gov. Nationwide, the average annual cost of a private room at a skilled nursing facility is $90,155. At an assisted living facility (ALF), it's $39,528. The average hourly rate for home health aides is $22. That's a lot of money, but some programs will help pay it. 1. Medicare pays for short-term care after an injury or surgery. It does not cover long-term care. 2. Medicaid helps people with a low income and few assets pay for nursing facilities and some assisted living and in-home care. 3. Some states offer financial assistance for low-income residents to live in an ALF. Ask your Area Agency on Aging. 4. The Department of Veterans Affairs offers certain veterans and their spouses long-term-care benefits. 5. A reverse mortgage might provide income to pay for care. 6. The National Council on Aging helps you find government aid.